Jared Kushner held "productive" meetings with Israeli premier And Palestinian leader. 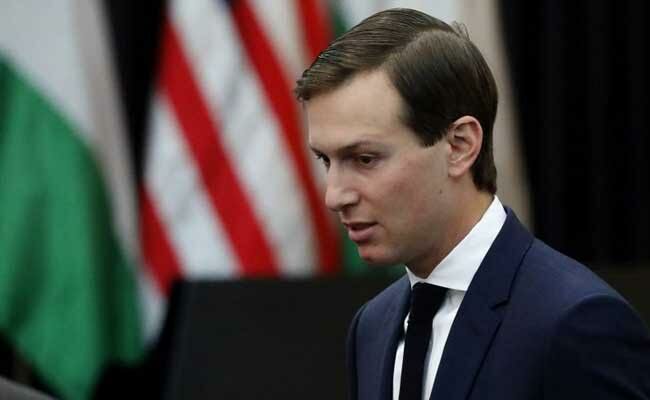 Jerusalem: US President Donald Trump's senior advisor and son-in-law Jared Kushner held "productive" meetings with Israeli premier Benjamin Netanyahu and Palestinian leader Mahmud Abbas on Wednesday, the White House said.Kushner, accompanied by Trump's Middle East envoy Jason Greenblatt, is attempting to broker a deal to restart Israeli-Palestinian negotiations, frozen since US-led talks collapsed in 2014. Washington's ambassador to Israel, David Friedman, also attended the sit-down with Netanyahu. "The three United States officials discussed Israel's priorities and potential next steps with Prime Minister Netanyahu, acknowledging the critical role Israel plays in the security of the region," the White House said in a statement. "The meeting was productive and the two sides reaffirmed their commitment to advancing President Trump's goal of a genuine and lasting peace between the Israelis and the Palestinians that enhances stability in the region," the statement read. In short video released by Netanyahu's office, the prime minister told Kushner: "This is an opportunity to pursue our common goals of security, prosperity and peace." "I welcome you here in that spirit. I know of your efforts, the president's efforts, and I look forward to working with you." Greenblatt and Kushner both accompanied Trump in May on his first visit as president to Israel and the Palestinian territories. Both men also met Abbas and his senior advisors in Ramallah, accompanied by US Consul General Donald Blome, for talks the White House also dubbed "productive." "Kushner and Greenblatt discussed with President Abbas priorities for the Palestinians and potential next steps, acknowledging the need for economic opportunities for Palestinians and major investments in the Palestinian economy," it said. A White House official said this week Trump "strongly believes that peace is possible," and that Greenblatt and Kushner expect to visit the region multiple times in coming months in a bid to build confidence between the two sides.